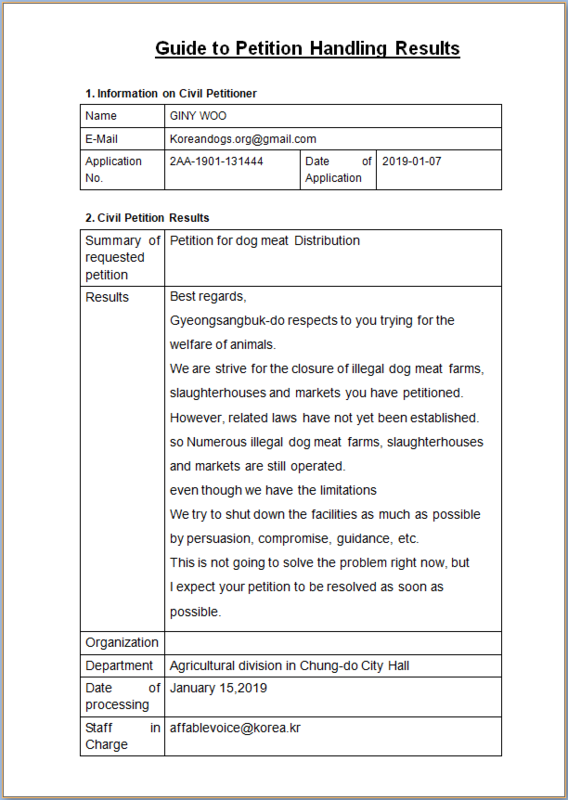 Below is Cheongdo’s response to our petition: Cheongdo, South Korea, Shut down the illegal dog meat farms, slaughterhouses and markets. 02/02/2019 Dogs are companions to people. Dogs visit sick people in hospitals. Dogs help walk blind people. Dogs help the military and law enforcement. Dogs feel pain and dream in their sleep. Dogs are NOT food. Cheongdo County need to do much more to address this issue. Dogs and cats are not food. 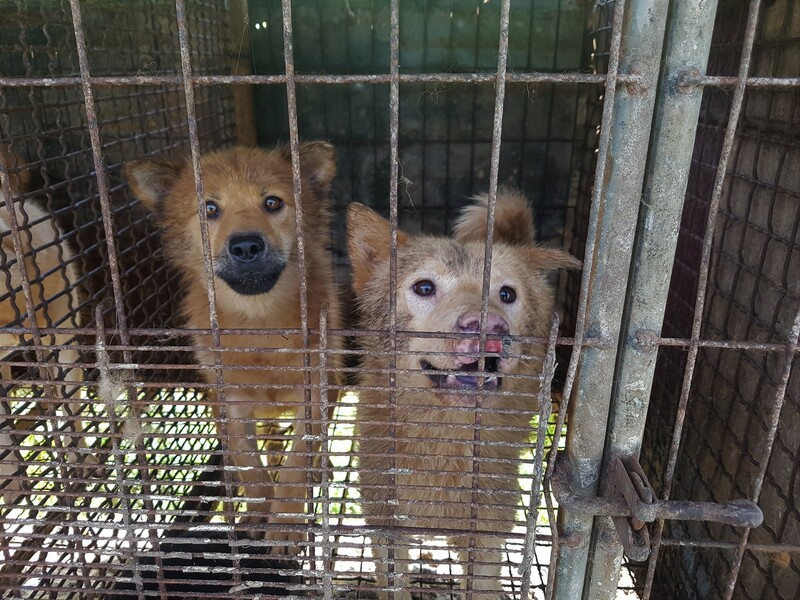 The dog meat trade is unacceptable and has no place in modern society. 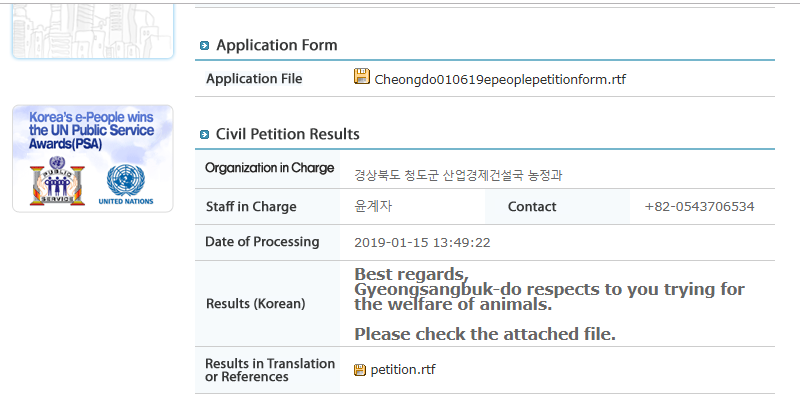 Civilised people are sickened and appalled at what goes on in South Korea and want to see the dog meat trade stopped as soon as possible. Animals are sentient beings. And dogs specifically have a bond with humans. What’s up with those people who cruelly slaughter dogs or cats – throw them alive in boiling water, beat them to death, hang them, etc … Don’t they see the fear and terror in their eyes? How can they be so callous! What kind of “people” are they? How can it be that a government accepts this brutality and does not stop it? Please DO something NOW against this !! The cruel handling and slaughter of domestic pets makes South Korea no better than your neighbor to the North. The brutality of the men and women who viciously drag from their decrepit, filthy cages and mercilessly hang, beat to death, scald alive and worse to serve these innocent animals to a thoughtless customer is disgusting. And the complacency of the people and government of South Korea will pay the price. Boycott all South Korean products they are drenched in the blood of wailing dogs and cats.